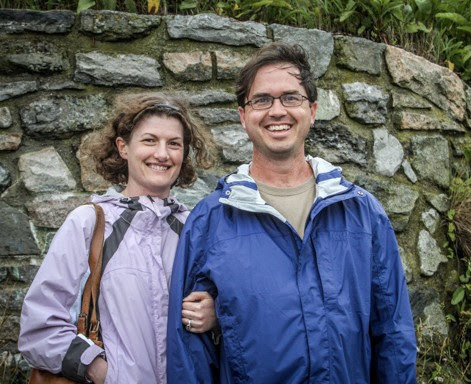 Congratulations to Karen Brittain and Dr. Andrew Rhyne, the 2017 Aquarist of the Year and 2017 MASNA Award recipients, respectively. 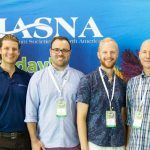 from MASNA’s press release: The annual Marine Aquarium Societies of North America (MASNA) award, Aquarist of the Year, has now been split into two awards. The first, The MASNA Award, is historically what was called the Aquarist of the Year Award. The MASNA Award is to recognize those individuals who have who have contributed a lifetime of achievement to the marine aquarium industry, not only recently, but in the past. The second award, now named Aquarist of the Year Award, is to recognize those individuals who have made a more recent achievement to the marine aquarium industry. Marine aquarium hobbyists from around the world are the ones who nominate individuals for both awards. 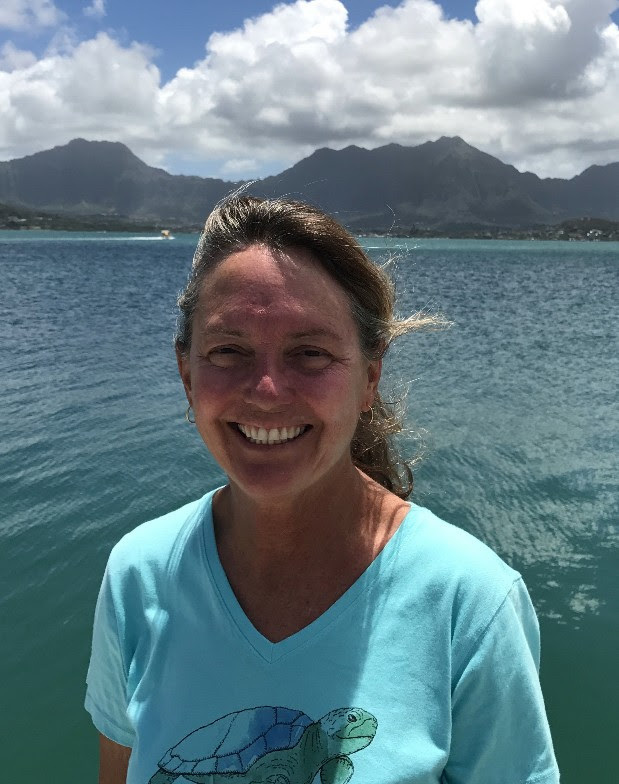 Karen Brittain is a marine ornamental fish breeder and having been born and raised in Hawaii, the ocean and its inhabitants have always been a part of her life. 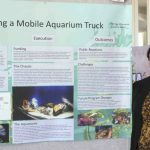 Over the last thirty years she has been employed at the Waikiki Aquarium and the Hawaii Institute of Marine Biology working towards the captive breeding and rearing of marine fish and invertebrates, both for food and as ornamental species. 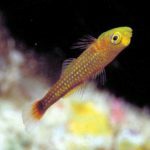 During these years she spent her free time pursuing the captive breeding of her favorite reef fishes and in 1997 she started Reef Friendly Fishes, a small scale marine ornamental fish hatchery operating out of her garage. Initially she focused on clownfish and ornamental shrimp, which provided the income needed to expand to other species. Karen continues to encourage marine aquarium hobbyists to pursue the captive breeding of our aquarium pets. She is focusing on more challenging species and over the last few years has successfully raised Genicanthus watanabei, Genicanthus personatus, Paracentropyge venusta, Centropyge acanthops, Apolemichthys arcuatus, Odontanthias fuscipinnis and Liopropoma carmabi. She continues to share her experiences and knowledge in the hopes that the breeding of aquarium inhabitants will continue to progress, resulting in a constant flow of captive bred species to our hobby/industry. 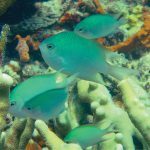 Dr. Andrew L. Rhyne has invested his career in understanding marine ornamental aquaria: the biology of aquarium fishes and invertebrates, as well as the industry driven by human fascination for these creatures. The trade in aquarium species can be considered a data limited industry and the lack of available trade data hinders sustainability movements within the trade. Andy has worked to develop solutions to these data gaps. He has worked to advance the field of marine ornamental aquaculture, developing methods for breeding and rearing popular species in aquaria. Andy’s body of work illuminates life histories, husbandry and larval rearing requirements of aquarium fish and invertebrates. He has pioneered methods for culturing calanoid copepods and this has greatly increased the success of hobbyists and researchers with small tropical marine fish larvae. Andy has reared dozens of marine fish and invertebrates, with many for the first time. Notability his lab reared the first triggerfish (the Queen Triggerfish) in captivity as part of a joint program with the New England Aquarium, a program aimed at expanding the number of captive bred species on display in public aquaria. Through this innovative program Dr. Rhyne and colleagues developed a larval rearing system specifically designed public aquariums, supplying systems and training to over 20 institutions. Gramma Dejongi and Rainfordia Opercularis – Special MACNA Show Price!